Badminton England have launched a BRAND NEW Social Competition Offer which is targeted towards recreational, ‘No Strings’ players who are new to competition and would like to take their first steps into competitive badminton. 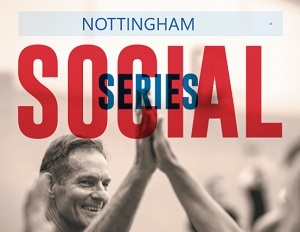 The social series is aimed at players who have not competed before but are interested in getting involved and finding out what badminton competition is all about. The social series consists of three tournaments with winners for each individual tournament as well as overall series winners. Every tournament will be played in a friendly, welcoming atmosphere with a healthy amount of competition. Prizes will be awarded for winners and runners-up of each tournament as well as a prize for the overall series winners. Tournaments will be welcoming to new participants. Each tournament and series will be able to have a doubles format to suit the needs of the players. Each tournament costs £12 to enter or all three tournaments can be entered for £30.